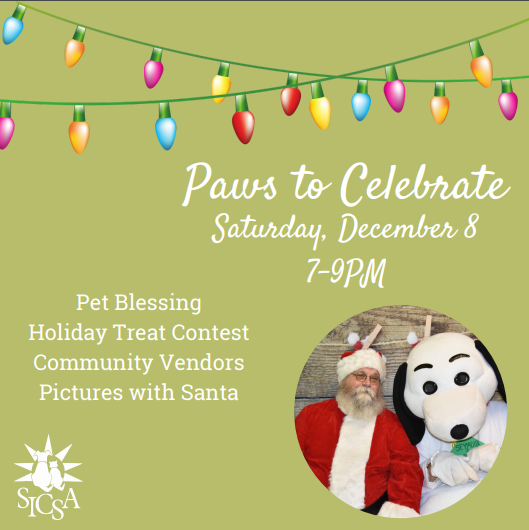 Join SICSA as we celebrate the holiday season with family, friends, and our favorite furry friends, too! They’ll be plenty of family-friendly activities, a visit from Santa, a holiday treats competition, and the traditional pet blessing. We’ll be joined this year by our community partners Paw Patrol, the Humane Society of Greater Dayton, and the Montgomery County Animal Resource Center. Purchase a luminary in honor or memory of a pet, loved one, or as a gift. If you purchase 5, you’ll receive SICSA’s Paws to Celebrate 2018 holiday ornament!